Robots could be more mobile and drones more acrobatic if their makers take advantage of updates to Intel’s Galileo 2.0 open-source computer. Galileo 2.0, an uncased computer, will be the follow-on to the first-generation single-board system that sells for around US$70. It could ship as soon as next month, said Mike Bell, vice president and general manager of Intel’s New Devices Group. Galileo has been used by enthusiasts and do-it-yourselfers to make and prototype robots, electronics and even wearable devices. Upgrades that the maker community wants to see on Galileo-like computers are very different from improvements sought to PCs, tablets and smartphones, Bell said. For example, makers may want to add hands, legs and other features to robots, made possible through more pins, ports and the requisite amounts of throughput and power delivery. The CPU is important, but expandability improvements in Galileo are more significant and widely requested by the maker community, Bell said. For example, the next-gen Galileo will be able to control movement of robots and electronics at shorter time intervals, which provides better control, Bell said. Intel has improved the PWM (pulse-width modulation) control line, which will deliver more bits of resolution for better movement control on robots, 3D printers and other devices made using Galileo. Intel has also added Power over ethernet (PoE) capability so an ethernet connection could power up Galileo. The expandable ethernet equipment will need to be bought separately. Also, the speed and toggling capabilities of general-purpose input/output (GPIOs) have been improved. Galileo 2.0 will have the same CPU as its predecessor, the 400MHz Quark processor with 16KB of cache and 512KB of embedded RAM. Like the first Galileo, the board will be Arduino-compatible. Bell’s views on keeping the base Galileo specifications intact reflects the opinions of Raspberry Pi’s founder Eben Upton, who in an interview with the IDG News Service said that overhauling a board could be expensive and new hardware could unsettle existing users. An upgrade to the Raspberry Pi mini-computer, which starts at $25 and has sold in the millions, is not planned anytime soon. “I think we’re at the ‘good enough’ point for a lot of our users, and are continuing to demonstrate good performance improvements through optimization, so there’s been less demand than you might expect for an upgrade path,” Upton said. Intel is tapping into the maker community to determine how the Quark chip can best be used. Intel has its own internal “Maker Faires” and many good ideas have come out of Galileo, said Bell. 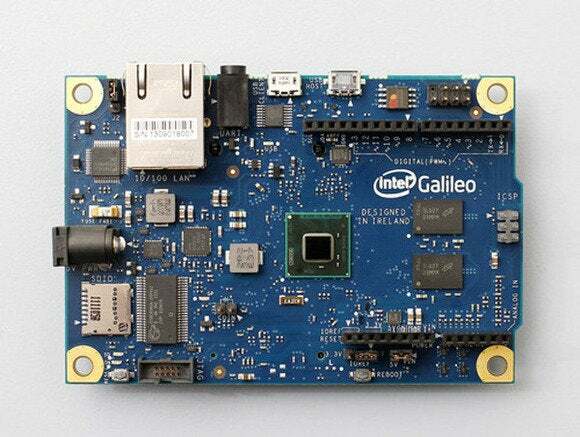 Intel has open-sourced Galileo, publishing the schematics of the board for others to replicate. “It would be great if people build their own version of Galileo,” Bell said.